In all the French Open postmortems, hardly anything has been said about Andy Murray—you know, the guy ranked number one in the world and who came within four points of reaching the final in Paris for the second consecutive year. Fulsome tributes have been paid to Rafael Nadal and Jelena Ostapenko, the two champions. There have been paeans to Stan Wawrinka and Simona Halep, the runners-up, and more head-scratching and handwringing about Novak Djokovic. But Murray pretty much disappeared from the conversation the moment he exited Court Philippe Chatrier after losing in the semifinals to Wawrinka last Friday. In the unlikely event that Murray paid any attention to the tournament summaries and noticed that his name was not exactly prominent, he might have thought to himself, “What am I, mousse de foies de volaille?” (that’s French for chopped liver). 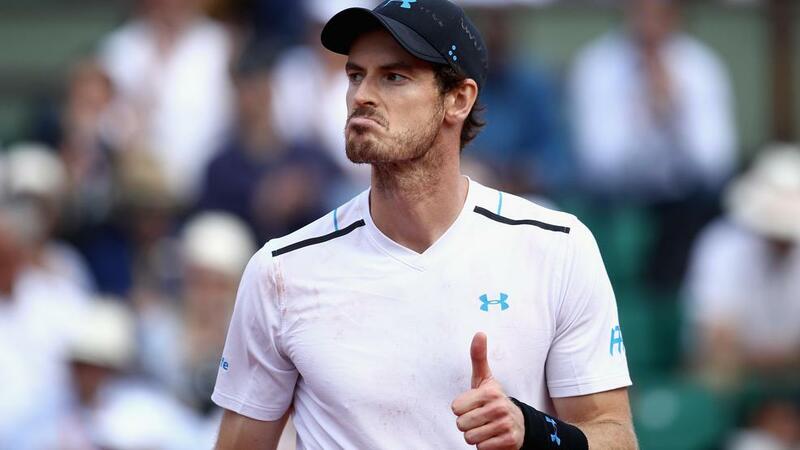 Murray deserved more praise for his deep run in Paris. He also deserves a little more praise for the career he has had—a thought prompted, oddly enough, by his loss to Wawrinka last week. Not much was expected of Murray at this year’s French. “A top seed in name only,” as Jon Wertheim put it in his curtain-raiser. Like Djokovic, Murray had had a miserable start to the 2017 season. He lost in the fourth round of the Australian, went out in the second round at Indian Wells, and withdrew from Miami on account of injury. It was a slump that didn’t get nearly as much attention as Djokovic’s, in large part because Murray didn’t call as much attention to it. He didn’t fire his team or enlist the help of a spiritual guru; he simply soldiered on, and his doggedness was rewarded at the French. After struggling in his first two matches, he hammered Juan Martin del Potro in the third round, did the same to Kei Nishikori (after dropping the first set) in the quarterfinals, and very nearly reached the final. Is his slump over? We won’t know for sure until Wimbledon, where he’s the defending champion. But given his recent struggles and the fact that he arrived in Paris with little momentum and little reason for confidence, it was a seriously impressive performance. And there’s one other thing worth noting. Djokovic, in his quarterfinal loss to Dominic Thiem, stopped trying and was bageled in the third and final set. Murray was nearly bageled by Wawrinka in the fifth set of their match, but that wasn’t because he gave up—he was just exhausted. I’m not trying to pick on Djokovic, but the contrast wasinteresting. Slumps can be revealing. But Murray lacks firepower, and while that’s not a problem against most players, it is a serious liability against his foremost rivals—including, now, Wawrinka. The Swiss was better not just on the backhand wing, but on the forehand side, too. Wawrinka’s serve, like his forehand, has become a potent weapon, unlike Murray’s serve, which remains what it has always been—a good serve, but not a fearsome one (and, of course, he has always struggled with his second serve). The contrasts that were on such vivid display in the semifinal in Paris told a larger story. Murray is a grinder, who has had the misfortune of being part of a generation that features some of the greatest ball strikers the game has ever seen (Federer, Nadal, and, yeah, late-blooming Wawrinka) and also a player whose defensive skills are even better than his, Djokovic. Ivan Lendl, Murray’s coach, was not the most gifted member of his generation, but his work ethic and the grit he eventually developed carried him to eight grand slam singles titles. In a different era, Murray would surely have won a fistful of majors himself. The fact that he has won three majors in this era, and has been a runner-up eight times, is phenomenal—and, again, that’s not meant to sound condescending, patronizing, backhanded, call it what you will. It’s sincere. He’s a great player who, unfortunately, has found himself competing against not one, not two, no longer three but now four players who are superior to him, who can do much more to hurt him in a match than he can do to hurt them. Murray has often been described as an underachiever. I would say the exact opposite is true.